Overlapping cables, tangled cables are a nightmare for one and all, but resolving this mess in a manner that is efficient and productive has been an elusive concept for ages. With a whole tangle of wires in a commercial facility or in a vehicle or on a plane, normal functioning, repair, maintenance or even replacement can be quite difficult. We, at LEI INDIAS India, offer the ideal solution with customised cable wire harness that resolve and increase overall productivity of any company. 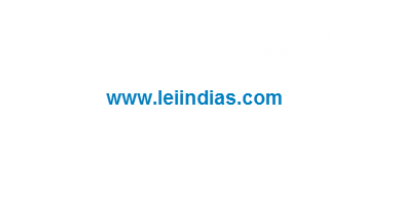 LEI INDIAS’s cable wire harnesses offer several advantages over having loose wires and cables. Our Cable harnesses provide a compact, smart yet simple way to secure numerous related wires and cables into a cable harness. Our cable wire harnesses not only offer a more organised manner of managing the mess of wires, but also secure them better against the various conditions like vibrations and moisture. As a one of the best cable wire harness manufacturers in India, LEI INDIAS has an integrated manufacturing facility that manufactures and supplies custom wire harness across the healthcare, aerospace and automotive sectors. Our manufacturing facility has qualified and experienced staff to fulfill every custom Wiring harness / Cable wire harness design need. Our innovative wiring harness design process and engineering expertise to help us create efficiencies, and validated cable wiring harnesses that is at par with the quality offered by cable wire harness companies across the globe. With a clear cut process in place, we at LEI INDIAS calculate realistic lead times of raw materials and plan our manufacturing process in an organised manner that ensures on time supply and delivery of cable wire harness across the country. With both automatic and manual quality checks that includes a wide array of test instruments, high quality, reliability test and a functional test at various levels for all our customized wiring harnesses and specialized cable harnesses, our rejection rates are as low as 0.0024%. As one of the trusted cable wire harness manufacturers in both Mumbai and Pune, at LEI INDIAS, we also provide superlative on-site cable wire harness assembly for companies spanning across the healthcare, aerospace , automotive and industrial sectors. Our flexibility and capability to manufacture and supply customized cable wiring harnesses for any machine, for any application, and at any quantity including samples, pilot lots, bulk orders makes LEI INDIAS one of the most reliable cable wire harness manufacturers. In today’s age of use and throw, we at LEI INDIAS believe that with care and the right skill-sets to repair and maintain, most electrical and electronic machinery can be used productively for a longer period. At LEI INDIAS, we offer repair and maintenance of Printed Circuit Boards, Encoders, Slip Ring Bodies, Electrical Panel etc. This service is primarily offered for industrial electronic and electrical machinery rather than household machinery. With our intricate study of the problem and the repair and resolution of the same, we ensure that the repaired product returned functions the same as the original one and at times, even better than the original! We recommend regular maintenance check for all electrical and electronics machinery so that issues can be detected at an earlier stage rather than wait for it to reach a stage that the machine can no longer be salvaged. With periodic care and maintenance, a quality machine will function well beyond its lifespan. When a manufacturing process demands imported machinery, or customized machinery, manufacturers or companies are often stuck with the dilemma of using a standard electrical panel. We at LEI INDIAS understand and anticipate your need and offer customized electrical panel manufacturing. Our customization is based on customer requirements, including panel drawing and bill of materials as well. Based on the given requirements, we develop a prototype for approval and upon approval, bulk production commences. We ensure that all our customized panels meet stringent quality standards and are delivered on time with a cost effective price to match. We at LEI INDIAS pride ourselves to be a part of the innovative process of various manufacturers and companies across the country. As a company who believes innovation distinguishes between a leader and a follower, LEI INDIAS is open towards new product development for electrical and electronics manufacturers and companies across the country. Given any specification, we at LEI INDIAS create unique designs with even alternative options to choose from. All our clients have done is choose the best option suited to their requirements and place the order. We manufacture the chosen new product in required quantities and even in bulk. With such flexibility and customisation offered, LEI INDIAS is one of the most sought after manufacturers for new product development due to our innovative approach and requirement specific manufacturing.